All the new Chrysler, Dodge, Jeep, and RAM models can be found at Whitten Brothers of Richmond. Our dealership near Chesterfield gives us the opportunity to provide you with an excellent new or used car buying experience. Chesterfield County in Virginia is located south of the city of Richmond. The county seat is Chesterfield Court House and the 437 square-mile county is bounded by the Appomattox River and James River. Chesterfield County is the third-most populous in Virginia with an estimated population of 330,000. The county was founded in 1749 by Philip Stanhope, 4th Earl of Chesterfield, an English statesman. Current major employers in Chesterfield include DuPont, UPS, Walmart, Kroger, and Amazon.com. Famous residents from Chesterfield, Virginia include NASCAR driver Denny Hamlin and Rada Owen, a member of the 2000 Olympic swim team. Keep up with Chesterfield news by following the Chesterfield Schools Twitter, attending events at the Chesterfield Chamber of Commerce and Chesterfield County Public Library. Or, drive to the nearest park in Chesterfield on the next sunny day! Look at our wide selection of Chrysler Dodge Jeep and RAM new cars and trucks near Chesterfield online today. Once you narrow it down, contact our friendly team for help. We’ll explain the features of each vehicle and help you decide which car, SUV, or truck is right for your lifestyle. Looking for a used or certified pre-owned car, SUV, or truck near Chesterfield? 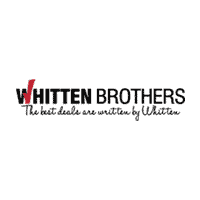 Whitten Brothers has a wide selection of used car models for every budget. Choose from popular makes like Chrysler, Dodge, Jeep, RAM, Mazda, Honda, Ford, and Toyota. Once you find a used vehicle, contact our team for more information. Our innovative pricing and friendly team will make finding your next used vehicle near Chesterfield easy! Once you find a new or used car, truck, or SUV near Chesterfield, Whitten Brothers will help you find a competitive auto loan rate. Our financing experts can assist you with car leases and loans – even if you don’t have great credit. Contact our financing team today to learn more about how we can help you finance your next vehicle. Looking for car parts near Chesterfield? Is your vehicle due for routine service? Our Mopar Service and Parts Department has you covered. Whitten Brothers provides authentic OEM parts for your vehicle and provides services like oil changes, alignment, fuel induction, transmission fluid, and tire rotation. Visiting Whitten Brothers from Chesterfield? Follow our directions from the Chesterfield Circuit Court to Whitten Brothers of Richmond. Turn left on Courthouse Road towards Iron Bridge Road. Turn right onto Iron Bridge Road (VA-10 W). Using the second exit, enter VA-288 N via the ramp to US-360. Looking for a Vehicle Near Chesterfield? Contact Us!